Is Ryan Really a Deficit Hawk? (Newser) – Paul Ryan talks a good game on deficit reduction, but his numbers don't quite match his words, critics tell NPR. Under his plan, "even with optimistic assumptions about revenues ... he still doesn't balance the budget for 20 years or so," says a federal budget analyst. 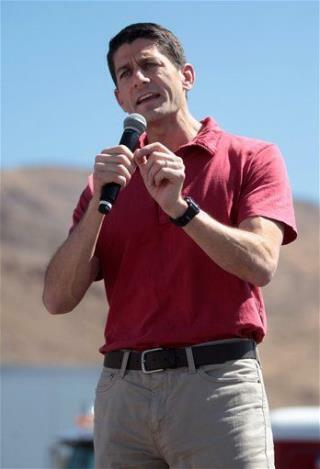 "The Paul Ryan budget plans are tax cuts masquerading as deficit reductions." And he's supported plenty of deficit-boosting policies, from Bush tax cuts to war "that's not paid for." If it wasn't for Bush/Cheney, the budget would still be balanced.